Our vacation starts by boarding an international flight bound for Seoul, the capital of South Korea. Meals and snacks will be served on the plane. We arrive at Incheon International Airport where an Air and Sea Travel representative will greet us and transfer us to our hotel. We start our tour by visiting Freedom Park, named on October 3, 1957 when a statue of General McArthur, who led the Incheon Amphibious Landing Operation during the Korean War, was erected here. The park offers spectacular views of downtown Incheon and its surrounding mountains, port, and sea. Then, we will visit Fairy Tale Village near Chinatown, a renovation project to improve development of the village by painting and decorating classic fairy tales all around. 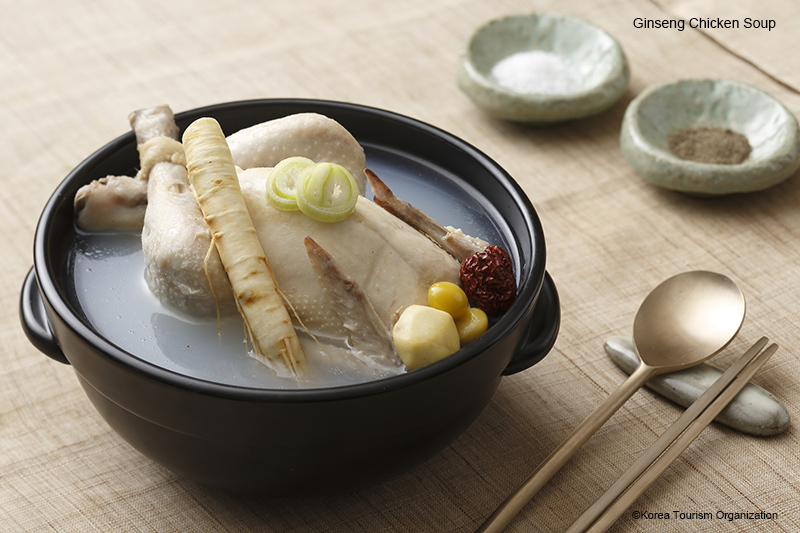 Today’s lunch is Ginseng Chicken Soup, made with Cornish game hens because of its tender and tasty meat. The chicken is stuffed with soaked sweet rice (glutinous rice). Garlic, ginger, and jujubes (dried red dates) are other common ingredients. 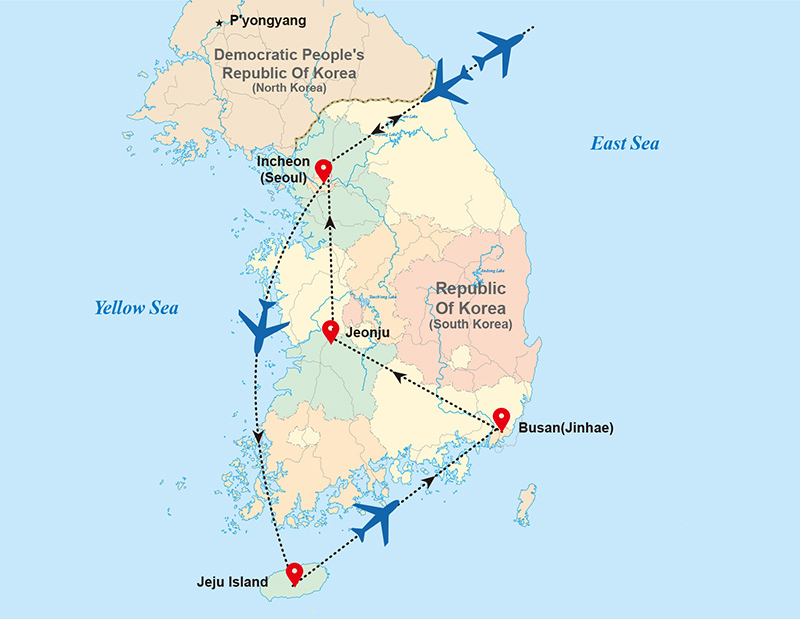 Afterwards, we will fly to Jeju Island, also known as “Island of Gods”. 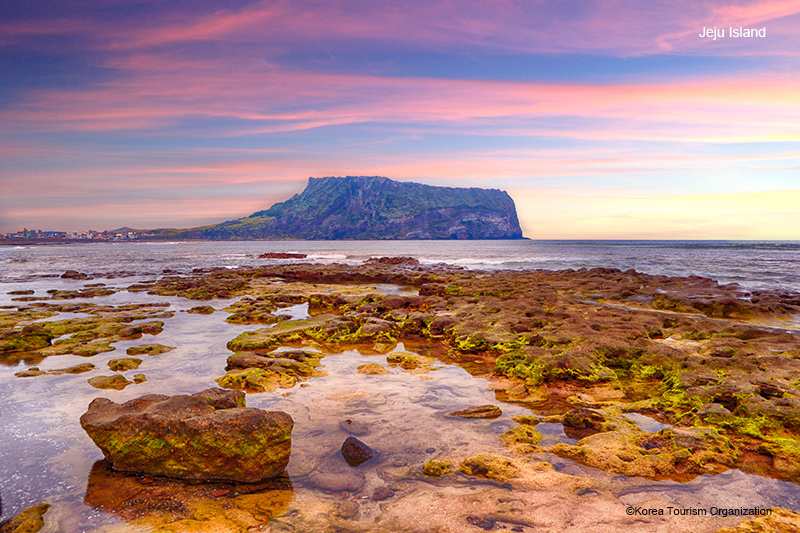 The volcanic island has scenic natural beauty, unique cultural traditions and a temperate climate. Upon our arrival, we will enjoy Grilled Sea Bream at a local restaurant. After breakfast, we will enjoy a full-day City tour starting with Sangumburi Crater which has been designated a Natural Monument, and is a flat crater, about 650 meters wide, 100 meters deep, and 2,070 meters in circumference. The crater from above looks like a man-made circular stadium. There is a variety of plant-life in the crater. Then we will enjoy Ilchul Land, a beautiful theme park with flower gardens including a Bonsai Garden. Our journey continues on to the Mysterious Road, also known as Dokkaebi Road. Like the name implies, it is mysterious. What we will experience here is that the road seems to be uphill from the starting point of Mysterious Road. However, when we turn the engine off, our vehicle will start to roll uphill! Abalone Stew will be arranged for lunch. Then we will enjoy the Women Diver Show at Seongsan Sunrising Hill. Female divers dive into the ocean to gather various shellfish and seaweed without using any underwater diving equipment. Since Jeju is famous for Black Hair Pig, we will have BBQ pork for dinner tonight. After breakfast, we will fly to Busan, the second largest city in Korea. Upon arrival, we will visit Yongdusan Dragon Head Park. It is called Yongdusan because the shape of the mountain resembles a dragon’s head emerging from the sea. Then we will go to Busan Tower, which is 129 meters high and gives you a stunning bird’s-eye view of the entire city of Busan including islands and ships dotting the distant seas. We will also visit the Jagalchi Fish Market, the largest fish market in South Korea. It is very popular with tourists and locals and is one of the “must go” places in Busan. After enjoying our time at the Market, a local Grilled Seafood Buffet is arranged for lunch. After lunch, we will visit Haedong Yonggungsa Temple, on the coast of the north-eastern portion of Busan, which offers visitors the rare opportunity to see a temple along the shoreline. Then, we will pass by Haeundae Beach, a famous beach in the country that is much longer than Waikiki. 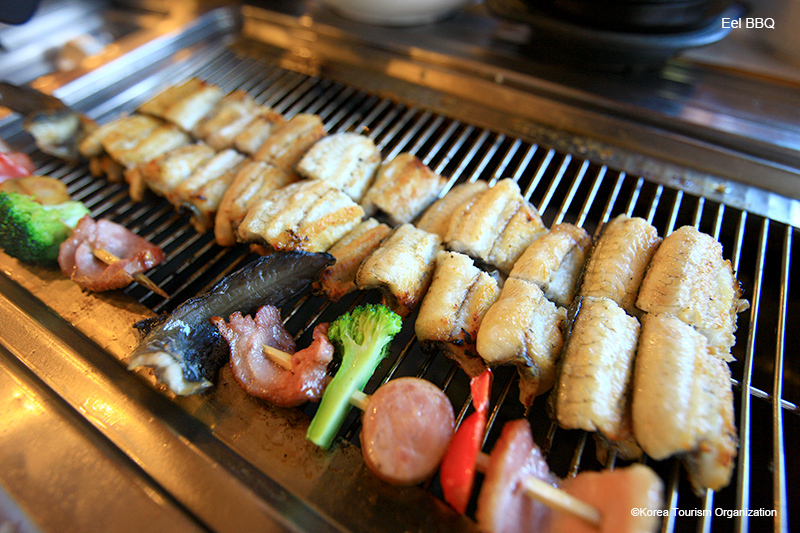 GiJang Eel BBQ Set Meal is arranged for tonight’s dinner. Today, we will transfer to Jeonju, the landmark of Korean traditional culture. 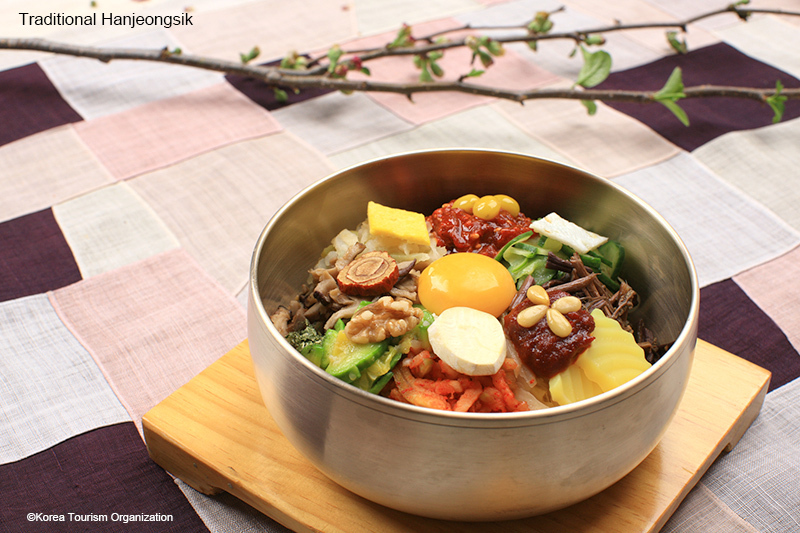 Since Jeonju is the birth place of Bibimbap, we will enjoy authentic Bibimbap Set for Lunch when we arrive there. After the delicious lunch, we will tour Hanok Village, the largest Korean Village in the downtown area that features various traditional cultural facilities. There are many Museums showcasing wine and paper where we learn by participating and utilizing all our senses through looking, touching, smelling, listening and tasting. Let’s attend a Korean Fan Making Workshop and join a Korean Traditional Wedding Ceremony where we can try on Korean Traditional Costumes. 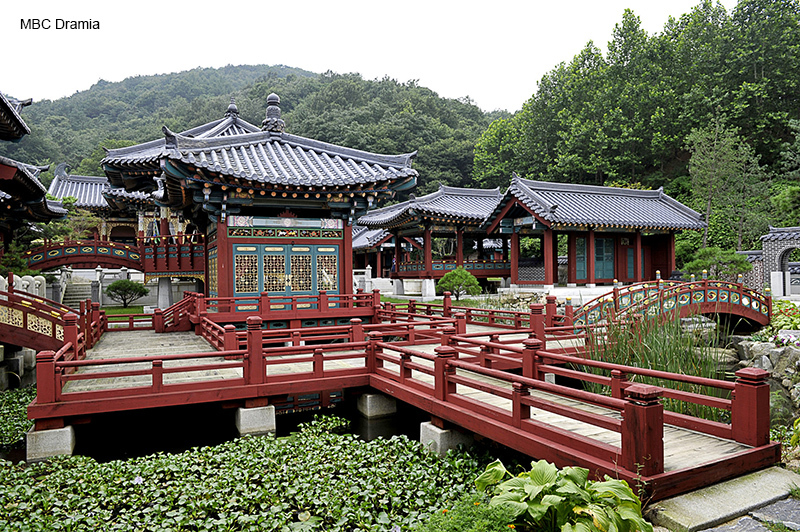 We will visit Gyeonggijeon Pavilion that enshrines the portrait (eojin) of King Taejo of Joseon. Eojin Taejo of Joseon was designated a national treasure in 2012. 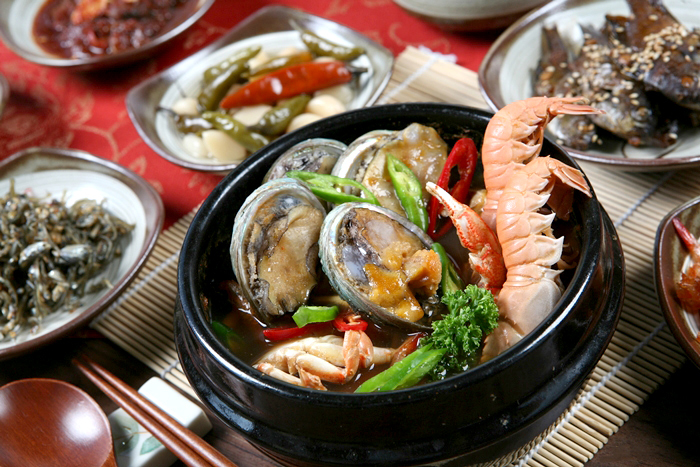 Enjoy Traditional Korean Hanjeongsik Dinner with a lot of small side dishes. Before we transfer back to Seoul, we will visit Korean Folk Village in Yongin City. We can see how people lived in the Joseon era. Thanks to replicas of a farmhouse, commoner’s house, government office, school, market place and noble’s house (Yangban), the village is a good place to begin seeing the history of Korea. We will transfer to Jeonju, the landmark of Korean traditional culture. Lunch will feature Korean Shabu Shabu. After lunch, we will transfer to Dae Jang Geum Theme Park, the former MBC “Dramia” and Korea’s first drama theme park. In this realistic, semi-permanent center, a variety of famous dramas have been produced. The center is completely built according to different dynasties and constructed as a functioning village for filming dramas. We may be lucky and run into some actors and actresses. What is for dinner??? Let’s enjoy the Tent Bar or Cart Bar (Pojangmacha). We will find food like fritters, fishcake, soju, makegeoli and other delicious local foods. Choose any of the local delicacies that best suit your tastes. Go in a tent and enjoy the moment. Then we will go back to our hotel. Today’s highlight is Jjimjil Bang at Dragon’s Hill Spa. What is this? It is the best place for activities such as hot springs, spa, sauna, food, arcade, massage and many more leisure activities. This is what we have seen in the K-Drama…..like cracking a hard-boiled egg on your head. 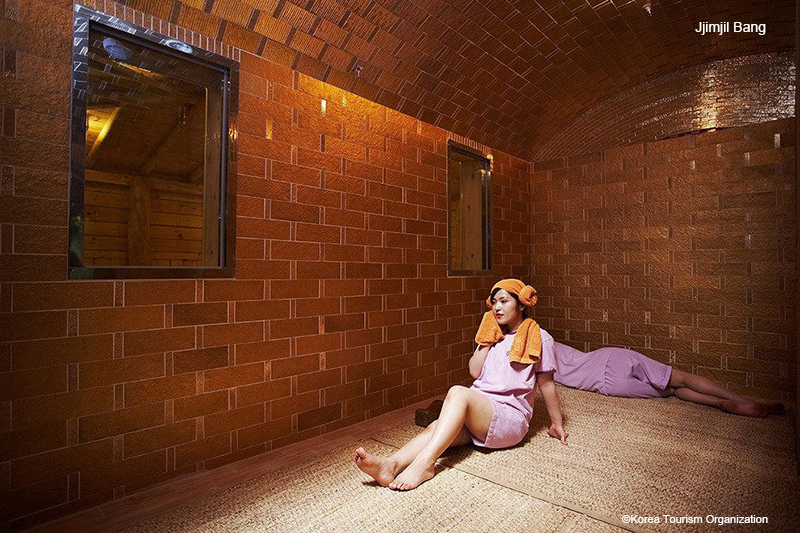 We can enter various heated rooms each with a particular theme. These are great places to sweat and relax. Let’s have fun and enjoy it to the fullest followed by a Baked Chicken lunch and shopping. We will proceed to Insadong Cultural Street, one of the most memorable attractions in Seoul and a good place to buy souvenirs and Korean items. There is a friendly atmosphere here with a variety of shops selling trinkets to specialty shops selling tea, art, antiques, and pottery. Afterwards we will head to our next shopping spot, Namdaemun Local Market, the largest and oldest wholesale market in Korea known as the best place to shop for clothes, shoes, jewelry, shirts, etc. Everything at Namdaemun is affordable and a great place for the shopaholic. After an enjoyable afternoon of shopping, we will have a Farewell Dinner Buffet before returning to our hotel. After breakfast, we will relax and spend some time doing last minute shopping at Myeongdong, a huge pedestrian marketplace with lots of shopping in the heart of Seoul. In the evening, we will transfer to the airport for our return flight home ending our fantastic journey in Korea. CHECK OR CASH PAYMENT ONLY. A deposit of $350 per person is required at the time of application. The balance of payment is due on Feb 10, 2019. In the event balance of payment is not made within the required time period, Air and Sea Travel Center reserves the right to cancel reservations and charge a cancellation fee. Written notice is required for any cancellation. ** After Feb 10, 2019, $350 deposit is non-refundable. ** From Mar 21, 2019 to departure or withdrawing during the tour shall be regarded as willingly giving up all rights concerned, 100% of total price, and request for other services as a substitute shall not be accepted. We strongly recommend purchasing travel insurance when you make a reservation.